Will you get by with your English in Germany? NO. German is the only language spoken in everyday life, by the public authorities and in most companies in Germany. There are very few job opportunities without a good command of German. While young people, especially in larger cities, have a fairly good knowledge of the English language, many people throughout the country speak only German in their everyday-life. Even most English-language movies and TV series are dubbed into German. There are many areas in Germany where people have difficulties speaking or even understanding English. Public administration offices and also your neighbours might expect you to speak with them in German. You also need to be aware that when coming to Germany as a an asylum seeker you’re not able to freely choose where you will live. Asylum seekers or those people who are found in the country without a residence permit are automatically transferred to the nearest reception centre of the relevant state. 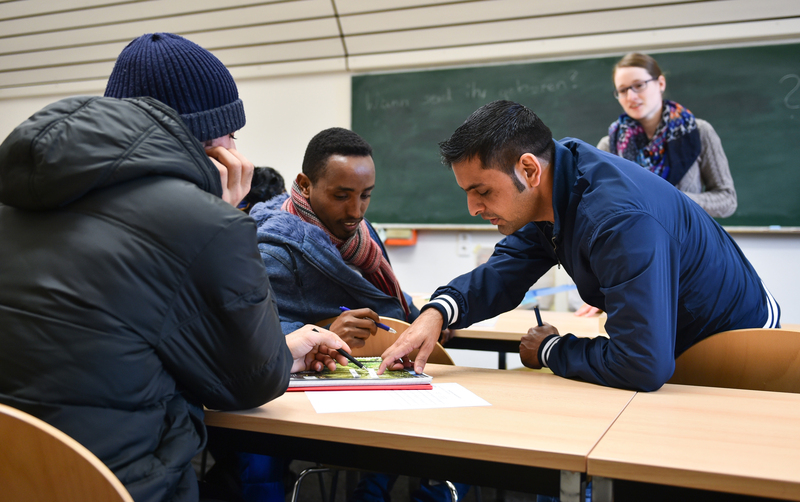 There is a nation-wide system for initial distribution, and when entering Germany as an asylum seeker you will be assigned to reception centres of the individual German states according to a formula defined in the Asylum Procedure Act. This means that there is a considerable possibility for you to be based in a more rural area, for example, where English is less often spoken and your knowledge of German is ever more important. Life is not about food and shelter alone. It’s also about pride, dignity, art, culture and language. Will you be rescued after two hours in a rubber boat? This is what smugglers promise, but: Rescue missions may not be where your boat is. Even if they were, your chances of being picked-up in time are extremely small – especially if smugglers leave your rubber boat drifting without a motor. The journey remains very dangerous and continues to cost thousands of lives. Will you be returned by force if your asylum application has been rejected? You will be returned by force if your asylum application is rejected and you do not return home voluntarily. In that case, you would also be banned from travelling to the Schengen area for a long period of time. You must also pay for the cost of your forced return.